The objective of Assured Quality Painting LLC is to provide customers with a first class, competitively priced job, completed in a timely manner. Thorough surface preparation is always performed prior to paint being applied and only the best paint is used. Customer satisfaction is Priority One! 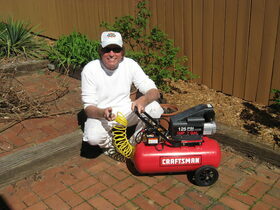 In 1978, Joel Mize, owner of Assured Quality Painting started in business as Mize Painting Company. In 1996 he went to work for the Porter Paint company as a store manager & sales representative. In 2002 he went back into business for himself and started Assured Quality Painting LLC. During the past 30 plus years he has accumulated an extensive knowledge of residential and commercial coatings, and application techniques.